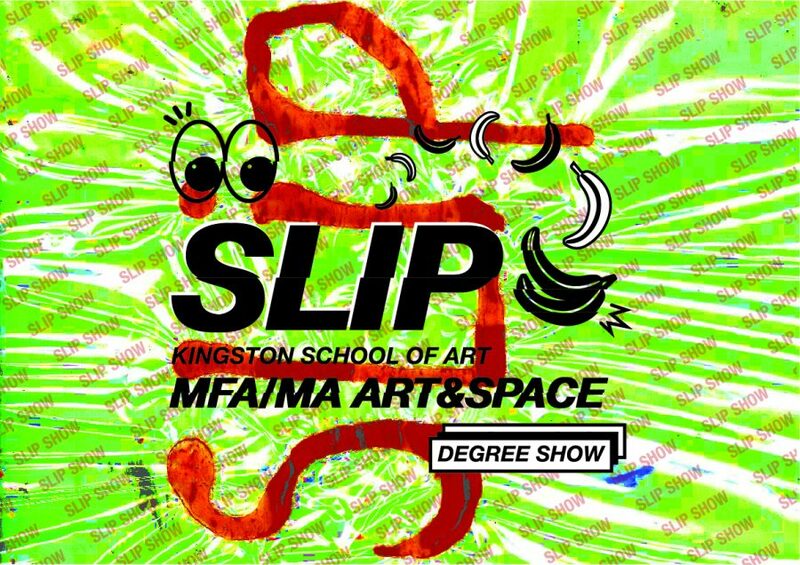 Kingston School of Art: MFA/MA Art & Space present their Degree Show, Slip. The term ‘Slip’ derives from a collective understanding of our work as having qualities of impermanence, of being mobile and in a state of flux but forceful at the point of encounter. Slip intimates a break in normal time, behaviours and speech but also the lack of stable meanings and categories that the works and their curation present. Slip takes place in two locations: The Swan Studio and the Stanley Picker Gallery and channels the varied practices and cultural complexities within the group such as a pop-up shop of graduating students and artists. Slip has made material a diverse composition of 14 individual’s work at this time and place in 2018. Ankai Xu, Astha Jain, Beatrice Carey, Chloe Hurst, Daehee Lee, Fiona Bradford, Haruki Okuyama, Hongli Cui, Jianwen Huang, Jue Sota, Sandy Layton, Sumi Kim, Xiaoyu Fan, Yiwen Wang.